On February 21th 2018 EAR-AER and EAFG board member Louis Delcart was invited to address to a group of students from Tbilisi University who visited the European Institutions in Brussels together with Mr. Romain Strasser, HR manager of the EPP Group. 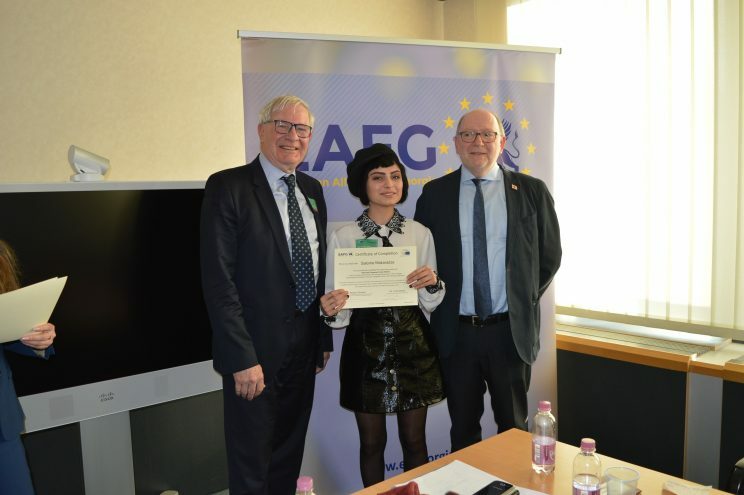 Host of the students was Ms. Teona Lavrelashvili, member of the cabinet of European Commissioner Hahn of the DG Near and president of the European Alliance for Georgia (EAFG). Mr. Strasser presented the role of the various European parties in the European Parliament. 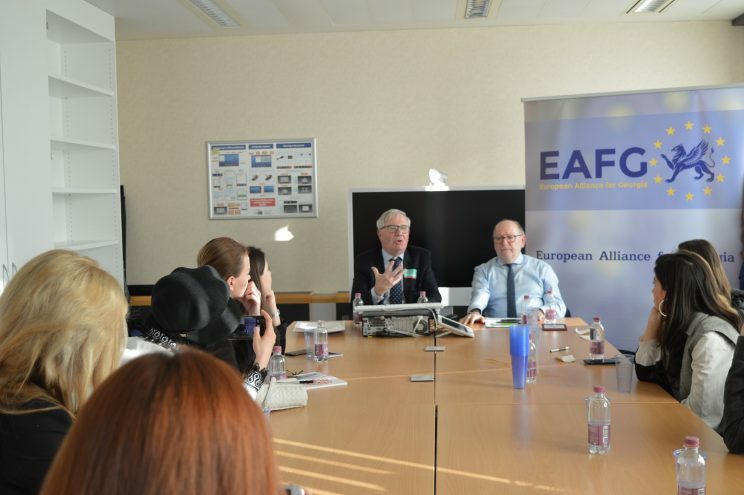 Mr. Delcart presented both the role of the European Alliance for Georgia as of the European Academy of the Regions. During a very interesting question time Mr. Delcart insisted on the attractiveness of the EU, also for non members because of the democratic and economic model it stands for and that is copied in many other countries. He also insisted upon the power of the digital native generation in Eastern European countries as source of innovation and renewal of the economic and social tissue. At the end of the session the students received a certificate of attendance from the hands of MM. Strasser and Delcart.